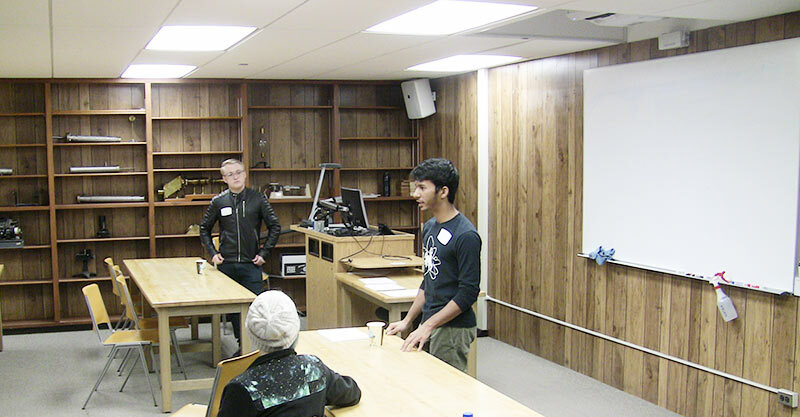 This year, the SPS Zone 14 Chapter meeting was hosted at the University of Wyoming (UWYO). It has been over four years since the zone meeting was hosted here, before any of the current officers attended UWYO, so we though it was time to bring it back. Our physics department is small, but it, and our SPS chapter has been growing and doing more events. For example, we’ve started partnering with other departments on campus to host our movie nights and have tentative plans to partner with our Women in Math, Science, and Engineering (WiMSE) organization to organize a 5K for charity. However, we still want to do more and pass on an even stronger SPS to the next set of students here. So, we thought hosting this meeting would be a good way to get our chapter more active again. And, since UWYO may be one of the less known chapters in Zone 14, being located in Wyoming, we thought this would be a good chance to introduce the other chapters to our University. We organized this meeting over two days to give everyone one night to arrive and settle in since it may be a long journey to Wyoming, especially with the weather. Friday night was informal and casual. We gave the chapters the option to attend our planetarium and STAR observatory tours with our vice president, Aman, there to welcome them. Saturday morning is when we started the group activities and SPS business. One of the highlights of our meeting was the three speakers we had. 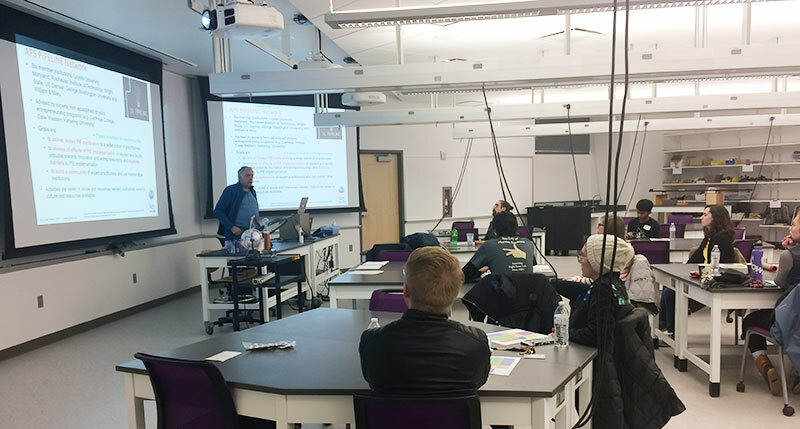 They came from a variety of places to talk about a variety of different subjects relevant to the undergraduate physics audience. Our first speaker was a graduate student at UWYO. It was a great way to talk about some of the research and resources our university has. One of the most exciting things UWYO offers, especially for astronomers, is our 2.3 meter observatory, WIRO. 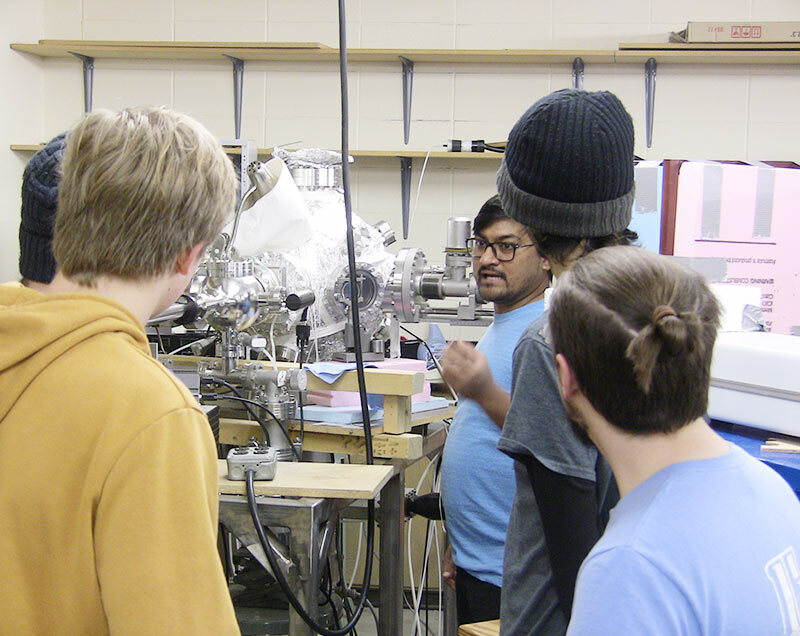 Since the university owns the telescope, all of the observing time is devoted towards students, giving even undergraduates time to observe. In some cases, undergraduates are able to observe more nights that what is even allowed for a PhD thesis. I myself have even been able to observe with WIRO when I was part UWYO’S REU program. 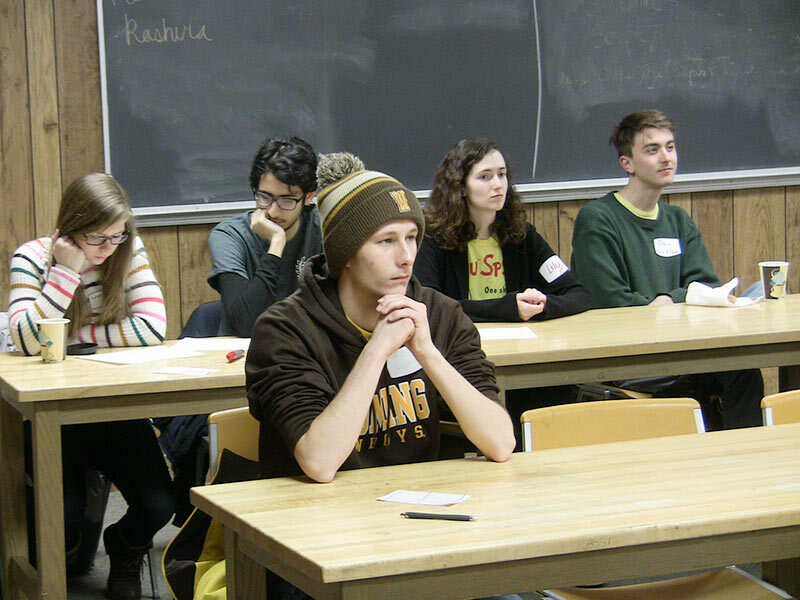 It is one of my favorite aspects of UWYO, and I’m excited that we got to share that with the visiting students. If the weather and time had allowed we would have taken the students on a tour of our telescopes (WIRO and RBO). We also had Randall Tagg visit from Denver to give his Physics, Innovation, and Entrepreneurship talk. It was a very engaging, interactive presentation. Instead of simply listening to a lecture, he gave us a “toolbox” of different skills used in physics and different areas of study one can apply them to. 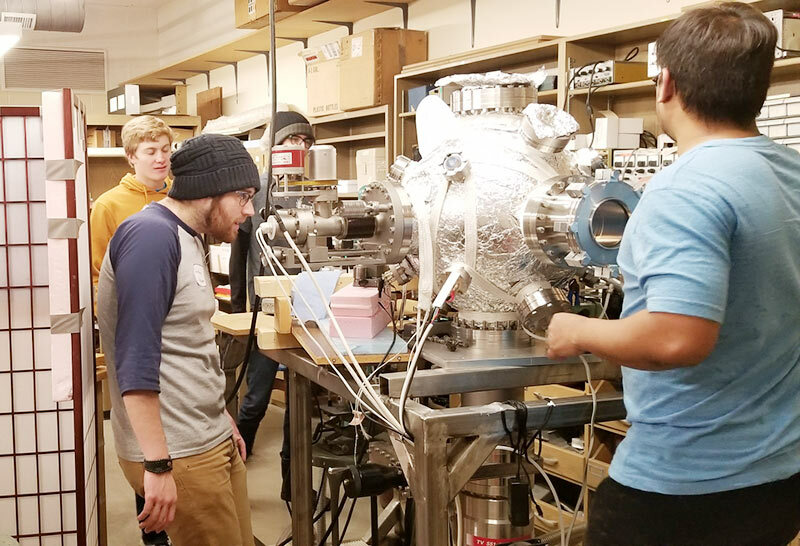 Many of them were unusual and not what one would typically expect for physics; however, our goal was to take those skills and tools and apply it to one of the different areas of study, coming up with ideas of how to solve a problem or meet a need. The ideas everyone came up with were very creative and even practical. My favorite was one group’s idea which was to break down rocks and minerals on other planets into oxygen to use for the future of space exploration. This presentation was a sneak-peak of the full presentation that Tagg would be showing at the upcoming PhysCon too! The last speaker we was Kerry Kidwell. She hosted a Zoom meeting remotely, and her presentation was a Careers Toolbox Workshop, showing us all the different career paths a student with a Bachelor’s in physics could take. Being a senior myself, this presentation was especially relevant to me and many others who attended. It may seem like career options are narrow and limited to only physics/astronomy, but there is a lot more one can do with a physics degree. For our fun activities we had the students tour our labs, the 3D cave, our science kitchen, and the geology museum. 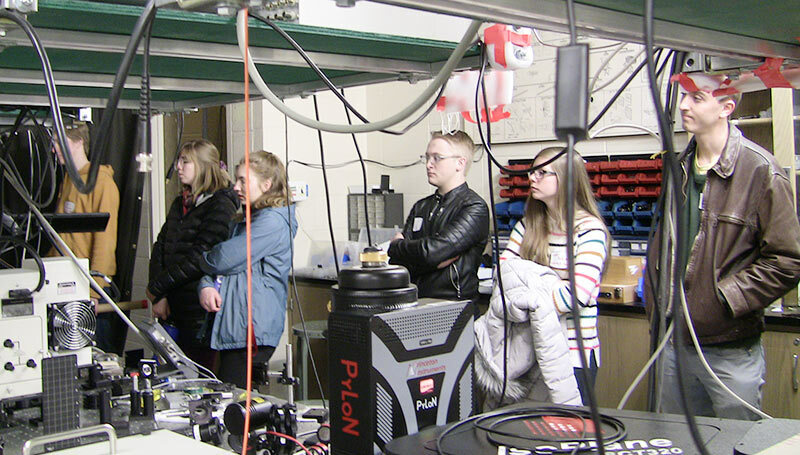 While the presentation on our current research was interesting and gave an opportunity to show things we couldn’t directly visit (like WIRO) the lab tours were a way to experience first-hand the type of work students at UWYO conduct. The Science Kitchen was a great way to show the kind of outreach out department takes part in. In the science kitchen, K-12 students and teachers get to investigate scientific ideas through experiments and hands-on exploration. The 3D cave is one of the lesser known attractions on the campus, but one of the more interesting ones. In the 3D cave, researchers use virtual environments to analyze spatially related data. It is a unique, interesting resource on campus, one I would like to explore too. Overall, we feel the Zone 14 Chapter Meeting was a success. While we were expecting a larger turnout, the weather prevented many students from being able to attend. We tried our best to accommodate this by streaming our speakers for the other chapters to watch remotely. But, we now have more experience and are better prepared to handle unexpected developments like that in the future. We got our chapter more active and got to make connections with the other chapters in our zone (and even one chapter from Zone 11). We even have ideas for how we could make the next zone meeting run more smoothly and make it more engaging for the attendees. One of our ideas is to make the demo presentations part of a contest with prizes to encourage more chapters to participate. This was a great opportunity for UWYO, and we look forward to continuing to contribute and becoming even more active in our SPS zone in the future.